On its first trading day, SNAP stock shot up as high as $26.05 against an IPO listing price of $17, an increase of 52%. As of writing this article, the stock seems to have stabilized at around the $24 to $25 mark. On the surface, that doesn’t seem abnormal for a growing company that made $58.7 million in revenues in 2015 and a comparatively whopping $404.5 million in 2016. But that’s not the interesting point at all. What’s really intriguing is that Snap Inc. lost $514.6 million in 2016, a significant increase from its 2015 loss of $372.9 million. So, why is a company that lost more than half a billion last year now valued at $28 billion – nearly three times the valuation of Twitter, or thereabouts? The clue to that is in the IPO hype. Snap Inc. going public is quite possibly the biggest IPO of 2017, but it’s more than that. It is one of the most widely recognized companies in the world because it’s in the business of people, just like Facebook, Twitter and every other social media network in the world. That could be one of the reasons SNAP stock shot up on Day 1 of the IPO. But what’s going to happen in the future? Well, if memory serves us right, it could go even higher, eventually reaching a peak price where it will stay for a while before dropping to more realistic levels. The problem is, there’s really no upside to Snapchat’s business prospects. True, they’ve realigned themselves into a camera company rather than a social media player, but they have yet to show success in that area. That brings us to their products, the first of which is Spectacles by Snap. Released in the fall, Spectacles have not yet gained enough traction for us to say that there’s a definite upside there. The product could be a big hit, but so far we’ve seen nothing to substantiate that claim. The second product is still shrouded in secrecy, but insiders (under condition of anonymity) have revealed several details. 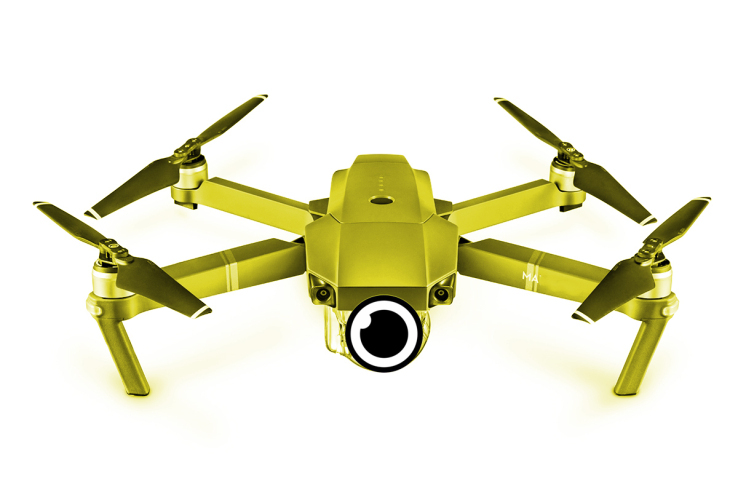 The product is essentially a photo-and-video-taking drone, and it appears that the company has been working on this for some time now. But you can hardly call this an upside to Snap’s business. It’s a new product under development, and we don’t even know if Snap will eventually release it. Several projects have been undertaken in the past, but many of them have been experimental and have never seen the light of day as far as consumers are concerned. For now, all the signs point to the IPO being unnaturally hyped. That means a stock price drop could be waiting in the wings for careless investors who may be carried away by their enthusiasm for owning a share in the company. It’s early days yet, but looking at the numbers, SNAP doesn’t appear to be a prudent investment at this price. We would rather wait for the price to normalize in a few weeks/months before jumping in.